They display anonymous messages or banners. They were installed together with another program. They conceal their operation and the means of closing them. They were installed without your consent. 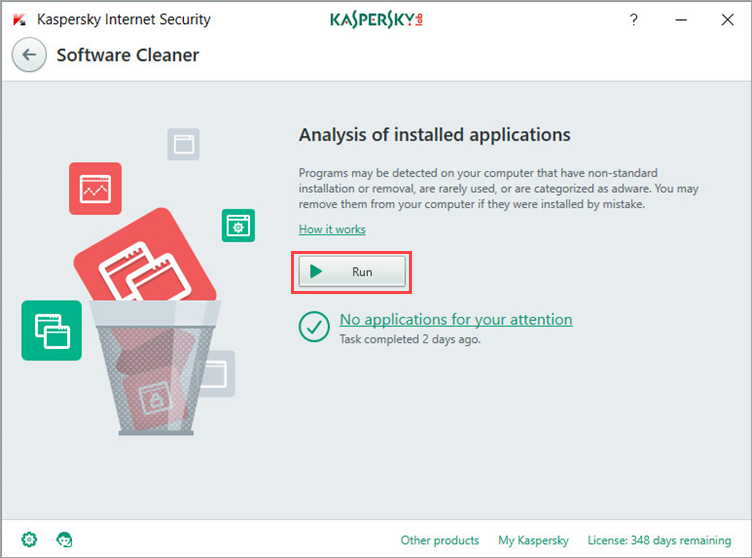 If you accidentally install an adware application (for instance, together with an application such as a browser), Kaspersky Internet Security 2018 will show a notification offering to remove it. 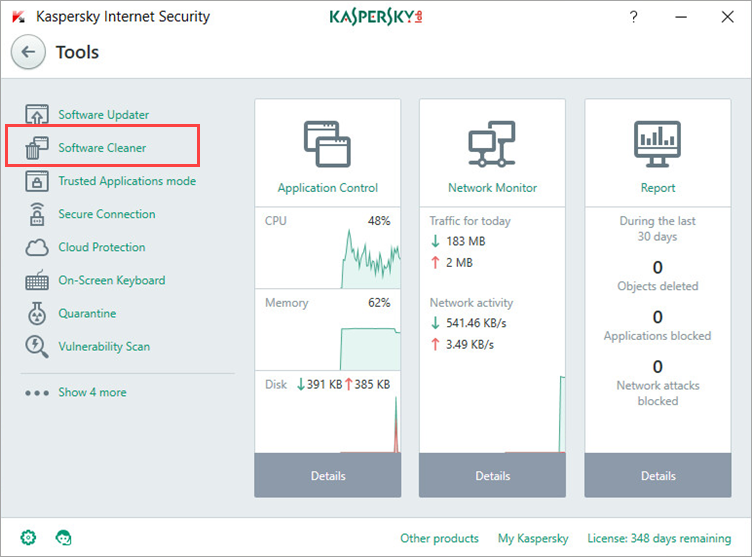 Watch the video "How to remove unwanted applications with Kaspersky Internet Security 2018" at the end of this article. In the Tools window, click Software Cleaner. Run the analysis of installed applications. 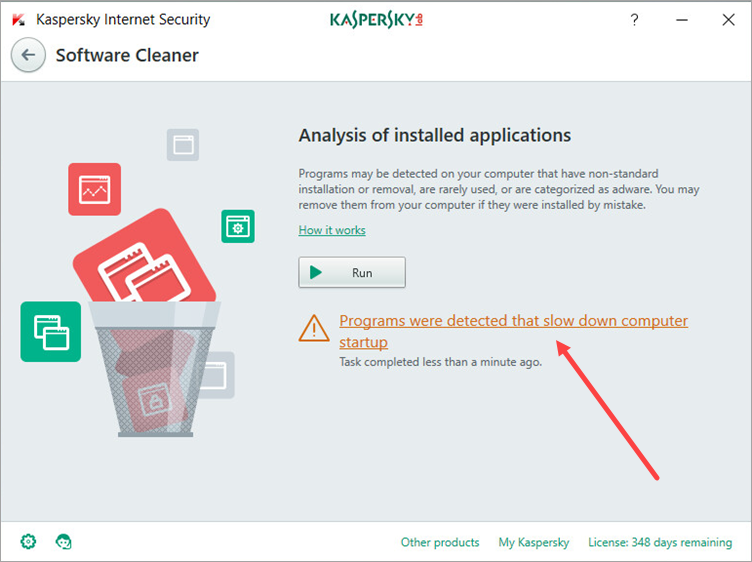 If Kaspersky Internet Security 2018 detects unused applications, it will show the link to the list of detected items in the Software Cleaner window. Click the link to view the list of detected applications. To delete the unused applications, click Remove. To remove applications you use from the list, click Hide. 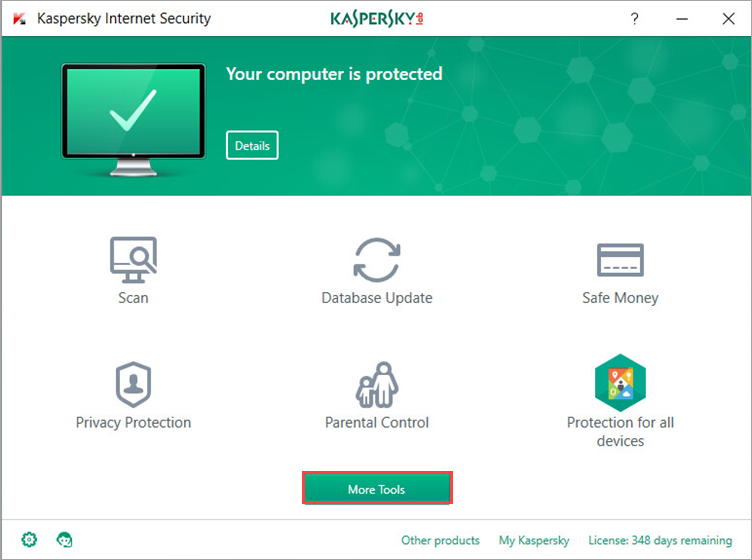 Kaspersky Internet Security 2018 will add it to the list of exclusions and will not offer to remove it again. Log in to the administrator account on your computer. 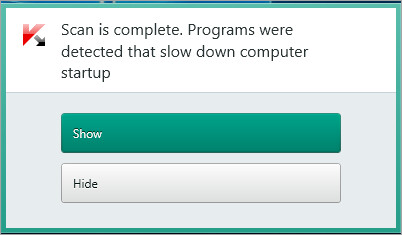 Check if the application you are trying to delete is running. If it is running, stop it. Delete the application using the regular Windows tools. Also, the application may not be deleted due to the Windows Installer service issues. See the Microsoft Windows technical support website for a list of all possible issues. If the error persists, send a request to the technical support of the application manufacturer or Microsoft.